It is essential to tailor your translated websites to a particular market, taking into account the country as well as the language. If you want to sell your products in Brazil, for example, translating your site into Brazilian Portuguese, as opposed to European Portuguese, is vital. Any on-page and off-page Search Engine Optimisation should also target Brazil specifically. Popular search terms vary widely from one country to another, even when the same language is spoken, so keyword research should be carried out based exclusively on Brazilian search data. When Britton Procol contacted Web-Translations about creating microsites in five languages, they were clear that they wanted to target Brazil. Keyword research was carried out by our in-house team in order to determine two good keywords for on-page optimisation, based on Brazilian search engine statistics. The website copy was also localised for the Brazilian dialect of Portuguese. We work with linguists from around the world with a wide range of specialisations, and Project Manager Dominic McGrath assigned the translation work to a Brazilian Portuguese technical translator who has worked with Web-Translations for nearly five years. 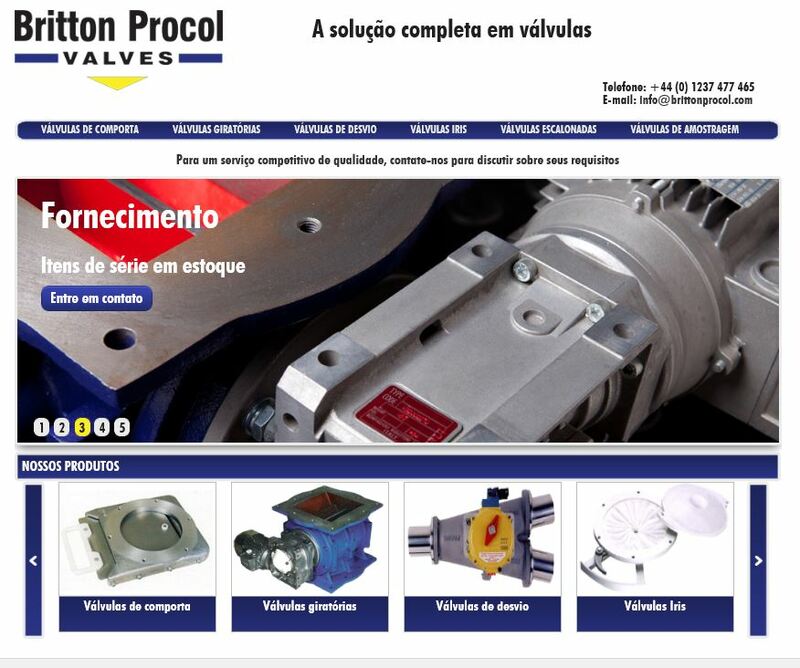 Britton Procol Valves offer a selection of quality valves, consisting of slide valves, iris valves, rotary valves, butterfly valves, blowing seals, gravity diverter valves and pneumatic conveying diverters which are available in a range of sizes, modes of operation and materials of construction. Microsites are now live for Germany, Poland, Japan, Brazil and Spain.